In our area, there is a high demand for good quality trucks and SUVs because of our high desert lifestyle. Good thing we’ve got Page Car Sales! Honesty, integrity, and value is the motto of Page Car Sales. 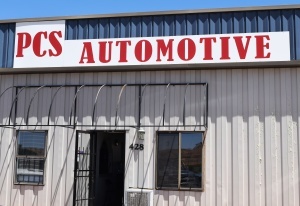 They’ve been a staple of our community since 2008, providing quality used reconditioned trucks, SUVs, and cars to Page and the surrounding Lake Powell area. Page Car Sales aims to make it easy to buy reconditioned vehicles. Located at 428 Haul Rd. Page Car Sales offers fantastic in-house financing. If you have a down payment and steady income, you probably already qualify to buy a vehicle! 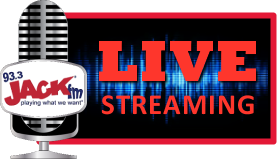 928-645-2830 Located on Haul Rd. 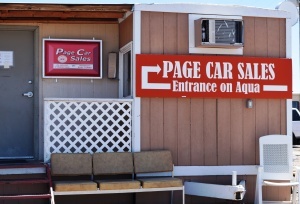 Not only is Page Car Sales a fantastic resource for buying reconditioned vehicles, but they also now own and manage PCS Automotive, located at 428 Haul Road! That means that Page Car Sales will be an important resource throughout the life of your vehicle – from the time you purchase it, to future work at PCS Automotive! When you need affordable options, good prices, and the ability to buy a vehicle, Page Car Sales is the place to go.